Laura Arrillaga-Andreessen is the Founder and President of the Laura Arrillaga-Andreessen Foundation (LAAF), a private operating foundation with a mission to inspire, educate and empower people to give in a way that matters more. At its core, LAAF is a philanthropy education organization — creating and providing free, high-quality, online resources and programs to help all givers, no matter where they are, make higher impact gifts with whatever they have to give. Founding initiatives include: ProjectU, a portfolio of free educational resources providing all that any educator needs to teach strategic philanthropy courses; Giving 2.0 Chapter Network, a national network of college clubs dedicated to learning about and practicing strategic giving; and, in Fall 2014, a Stanford University MOOC (massive open online course) on the Coursera platform to teach givers globally how to strategically invest time, money and expertise. Laura created and has taught Stanford Graduate School of Business’ (Stanford GSB) first course on Strategic Philanthropy since 2000 and has developed and teaches Stanford University’s first courses on strategic philanthropy; philanthropic entrepreneurship and social innovation; applying design thinking to create social impact; collaborative grantmaking; as well as technology’s disruption of the social sector. Laura is the Founder and Board Chairman of Stanford PACS (Center on Philanthropy and Civil Society), a global research center committed to exploring ideas to create social change and publisher of the award-winning Stanford Social Innovation Review (SSIR). Laura is the Founder, Chairman Emeritus and former Chairman (1998-2008) of SV2 (Silicon Valley Social Venture Fund), a venture philanthropy fund that leverages its partners’ financial, intellectual and human capital to make a measurable impact in the Silicon Valley community. SV2 has built a portfolio of 41 grantees, 500+ investors, and it won the 2008 Silicon Valley Association of Fundraising Professionals Philanthropic Organization of the Year. Her New York Times bestselling and award-winning book, Giving 2.0: Transform Your Giving and Our World (Wiley/Jossey-Bass, 2011), empowers individuals of all backgrounds, ages and passions to make their giving matter more. Laura is also a contributing author to Worth Magazine, the Huffington Post, SSIR and the book, Local Mission, Global Vision. 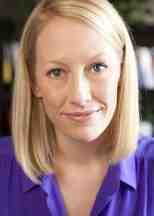 Laura has been profiled in New York Times, Wall Street Journal, Barrons, Forbes and Vogue. She has been featured on Charlie Rose, CNN with Erin Burnett, MSNBC with Dylan Ratigan and CNBC Power Lunch. 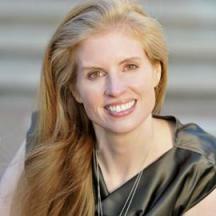 Laura is Co-founder and President of the Marc and Laura Andreessen Foundation. She is director of the Arrillaga Foundation and a board member of Sand Hill Foundation and Stanford Institute for Economic Policy Research (SIEPR). She is a former trustee of Silicon Valley Community Foundation, Hoover Institution, Castilleja School, Menlo School, Eastside Preparatory School, San Francisco Art Institute and Children’s Health Council. Laura holds an MBA from the Stanford Graduate School of Business, as well as an MA in Education, BA and MA in Art History all from Stanford University. In total, Laura holds five degrees from Stanford including Bing Nursery School where she graduated with honors by consuming vast quantities of Play-Doh under the crafts table. In addition to numerous California philanthropy awards, Laura was a 2005 Henry Crown Fellow of the Aspen Institute; was awarded the 2005 President’s Volunteer Service Award from the Points of Light Foundation; was honored with the World Affairs Council’s Global Philanthropy Forum 2011 Global Citizen Award, as well as the 2014 Commonwealth Club Distinguished Citizen Award. Laura lives with her husband, technology entrepreneur and venture capitalist Marc Andreessen, near Stanford University, and together they enjoy reading, art, writing, movies, athletics, sleeping, not sleeping and laughing as much as possible. Marc Benioff is Chairman, co-Chief Executive Officer and Founder of Salesforce and a pioneer of cloud computing. Under Benioff's leadership, Salesforce is the fastest-growing top-five enterprise software company and the #1 provider of Customer Relationship Management (CRM) software globally. Benioff was named “Innovator of the Decade” by Forbes, ranked #3 on Fortune's 2017 "Businessperson of the Year" list, and recognized as one of the World’s 25 Greatest Leaders by Fortune and 15 Best-Performing CEOs by Harvard Business Review. For his leadership on equality, Benioff has been honored by GLAAD, the Billie Jean King Leadership Initiative and Variety Magazine with its EmPOWerment Award. A member of the World Economic Forum ("WEF") Board of Trustees, Benioff serves as the inaugural Chair of WEF's Forum Center for the Fourth Industrial Revolution in San Francisco. Benioff also serves as Chair of Salesforce.org, which redefined corporate philanthropy by donating 1% of Salesforce's equity, product and time to its communities. Benioff received a B.S. in Business Administration from the University of Southern California, where he is on its Board of Trustees. Scott Dietzen is currently CEO at Pure Storage, and prior to that was a three-time successful entrepreneur with WebLogic, Zimbra, and Transarc. Most recently, he was President and CTO of Zimbra, a vendor of open source messaging and collaboration software. Zimbra (now part of VMware) was a pioneer of the Web 2.0 and Open Core paradigms. Zimbra was originally acquired by Yahoo!, where Dietzen served as interim SVP of Communications and Communities. Prior to Zimbra, Dietzen was CTO of BEA Systems — acquired by Oracle in 2008, where he helped craft the technology and business strategy for WebLogic. Dietzen came to BEA in 1998 via the acquisition of WebLogic, an innovator in Java and web application server technology. He earned his Ph.D. and M.S. in Computer Science from Carnegie Mellon University. Julia Hartz hopes to inspire people to live more by building the world's largest marketplace of live experiences. Since founding Eventbrite in 2006 with Kevin Hartz and Renaud Visage, the company has generated over $3 billion in gross ticket sales, with more than $200 million tickets processed to events and experiences around the globe. A key to this growth and success is the people of Eventbrite (fondly referred to as The Britelings), which has grown to nearly 400 employees in six offices around the world. Julia cultivates and advocates for Eventbrite's award-winning culture (voted Best Places to Work in the San Francisco Bay Area five years running). She has been honored as one of Inc.'s 35 under 35 in 2014 and Fortune's Most Powerful Women Entrepreneurs in 2013. Julia is also a frequent speaker on live experiences, consumer trends and entrepreneurship, and has been recently featured in Forbes, Fortune, Bloomberg and Inc. Magazine. Previous to Eventbrite, Julia was a TV development executive at MTV and FX Networks. Kevin is the Co-Founder & Chairman of Eventbrite and an EIR & Venture Partner at Founders Fund. Prior to joining the firm, Kevin was Co-Founder and CEO of Eventbrite. Kevin was previously Co-Founder and CEO of Xoom Corporation, an international money transfer company servicing more than 30 countries worldwide. Xoom went public in 2012 and was acquired by PayPal in 2015. Kevin has served as an early-stage investor and advisor to successful start-ups including Airbnb, Lookout, PayPal, Pinterest, Skybox Imaging, Trulia, Uber, and Yammer. 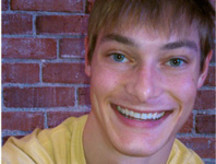 Ryan Hoover is the founder of [Product Hunt](https://www.crunchbase.com/organization/product-hunt), a community of people sharing, upvoting, and geeking out about new technology products, games, and books. Ryan also invests in early stage startups through [Weekend Fund](https://techcrunch.com/2017/08/29/weekend-fund-is-ryan-hoovers-3m-angel-fund/). 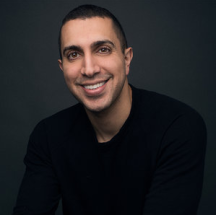 As a writer, Hoover has contributed to Hooked: How to Build Habit-Forming Products by [Nir Eyal](https://www.crunchbase.com/person/nir-eyal) and written many essays, including features for [TechCrunch](https://www.crunchbase.com/organization/techcrunch), [Forbes](https://www.crunchbase.com/organization/forbes), Pando, [Fast Company](https://www.crunchbase.com/organization/fast-company), and [The Next Web](https://www.crunchbase.com/organization/the-next-web). He writes about startup trends, product designs, and production growth on his blog, ryanhoover.me. Hoover graduated from [the University of Oregon](https://www.crunchbase.com/organization/university-of-oregon-2). After graduation, he spent time in Portland before permanently relocating to San Francisco, California. 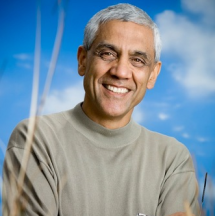 Vinod Khosla is an entrepreneur, investor and technologist. He is the founder of Khosla Ventures, a firm focused on assisting entrepreneurs to build impactful new energy and technology companies. Vinod grew up dreaming of being an entrepreneur, despite being from an Indian army household with no business or technology connections. Since the age of 16, when he first heard about the founding of Intel, he dreamt of starting his own technology company. After graduating with a bachelor’s degree in electrical engineering from the Indian Institute of Technology (IIT) in New Delhi, Vinod failed to start a soymilk company to service the many people in India who did not have refrigerators. Instead, he came to the U.S. to further his academic studies and received a master’s degree in biomedical engineering from Carnegie Mellon University. 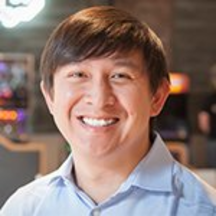 Eventually, his startup dreams led him to Silicon Valley, where he received a master’s degree in business administration from the Stanford University Graduate School of Business. Upon graduation, Vinod co-founded Daisy Systems, the first significant computer-aided design system for electrical engineers. The company went on to achieve significant revenue, profits and an IPO. Then, driven by the frustration of having to design the computer hardware on which the Daisy software needed to be built, Vinod started the standards-based Sun Microsystems in 1982 to build workstations for software developers. As the founding CEO of Sun, he pioneered open systems and commercial RISC processors. Sun Microsystems was funded by Vinod’s longtime friend and board member John Doerr of Kleiner Perkins Caufield and Byers (KPCB). In 1986, Vinod joined KPCB as a general partner. While there, he played a crucial role in taking on Intel’s monopoly by building and growing semiconductor company, Nexgen, which eventually was acquired by Advanced Micro Devices (AMD). Nexgen/AMD was the only microprocessor to have significant success against Intel. Thereafter, Vinod helped incubate the idea and business plan for Juniper Networks to take on Cisco System’s dominance of the router market. He also was involved in the formulation of the early advertising-based search strategy for Excite. In addition to his many other contributions at KPCB, he helped transform the moribund telecommunications business and its archaic SONET implementations with Cerent Corporation, which was acquired by Cisco Systems in 1999 for $7.2 billion. In 2004, driven by the need for flexibility to accommodate four teenaged children, the desire to be more experimental and to fund sometimes imprudent “science experiments,” Vinod formed Khosla Ventures to focus on both for-profit and social impact investments. His goals remain the same: work and learn from fun and knowledgeable entrepreneurs, build impactful companies by leveraging innovation and spend time with a partnership that makes a difference. Vinod has a passion for nascent technologies that have beneficial effects and economic impact on society. While he only serves on the boards of a few select companies, he works closely with most KV companies as they face transitions or key decisions. Vinod’s greatest passion is being a mentor to entrepreneurs building technology-based businesses. He is driven by the desire to make a positive impact through scaling new energy sources, achieving petroleum independence and promoting a pragmatic approach to the environment. He also is passionate about social entrepreneurship with a special emphasis on microfinance as a poverty alleviation tool. He is a supporter of many microfinance organizations in India and Africa. He also has been experimenting with innovations in education and global housing. Vinod also is a charter member of The Indus Entrepreneurs (TiE), a non-profit global network of entrepreneurs and professionals that was founded in 1992 and has more than 40 chapters in nine countries today. He is a founding board member of the Indian School of Business (ISB). Vinod holds a bachelor of technology degree in electrical engineering from the Indian Institute of Technology (IIT) in New Delhi, India, a master’s degree in biomedical engineering from Carnegie Mellon University and a master’s degree in business administration from the Stanford University Graduate School of Business. Lin is the COO of Twitch, the world’s leading social video platform and community for gamers. He was instrumental in the 2011 launch of the platform when he joined Justin.tv in 2008. 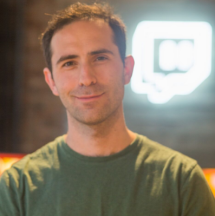 His role included attracting the site’s largest broadcasters and building out the partnership team among other activities which have helped grow the Twitch brand. Currently more than 100 million gamers gather every month on Twitch to broadcast live video, watch and chat about gaming, making the platform an industry leader. Dave is an entrepreneur & investor. He is Founder & Partner at Slow Ventures. A leading Silicon Valley venture capital firm that champions long term thinking and innovation. Slow serves a community of over 200 of the most innovative entrepreneurs and companies in the world. Including Slack, Pinterest, Evernote, NextDoor, Postmates, Blue Bottle and more. He was the Co-Founder and CEO of Path which was acquired by Kakao in 2015. He co-founded Path with the mission of being a source of happiness, meaning, and connection through simplicity, quality, and privacy in technology and design. Path continues to serves tens of millions of people each month to this day. Dave has had a lifelong passion for technology, entrepreneurship, culture, design, photography, nature, skiing, and improving society. He served both Apple and Facebook for several years during periods of rapid innovation and growth. Today, he serves on the Board of Directors of Eventbrite, Dwell, and Hinge. And, on the Boards of three Non-Profit Organizations, the United States Ski and Snowboard Association, the San Francisco Museum of Modern Art (SFMOMA), and Montana ExplorationWorks. He holds a degree in Economics from the University of Colorado at Boulder. He grew up under the big sky of Montana where he was ranked as one of the top downhill ski racers in America. Today, he lives and works in the beautiful San Francisco Bay Area with his wife Brit, son Ansel, and dog Pixel. Emmett Shear is founder and CEO of Twitch (www.twitch.tv), the world’s leading video platform and community for gamers. 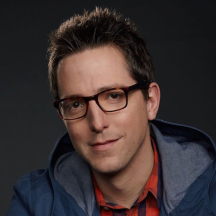 Mr. Shear is also co-founder of Justin.tv and a part-time partner at venture capital firm Y Combinator, where he advises fledgling startups on product and strategy. Mr. Shear graduated from Yale University in 2005 and in 2012 was included in Forbes Magazine on their 30 under 30 list. Twitch launched in 2011, and in 2014 The Wall Street Journal cited the brand as having the 4th largest peak internet traffic in the U.S.
Mike Speiser is Managing Director of Sutter Hill Ventures. 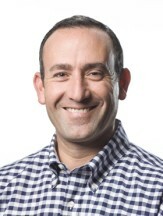 Mike's current directorships include Platfora, Pure Storage, Sila Nanotechnologies, and Sumo Logic. He is also responsible for a number of the firm's other investments including Instart Logic. Mike joined Sutter Hill Ventures in 2008 from Yahoo!, where he was Vice President of Community products -- he joined Yahoo! through the acquisition of Bix, where he served as CEO. 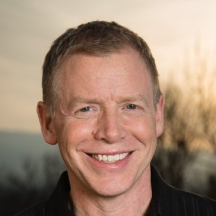 Previously, Mike was Vice President and Technical Advisor to Symantec's Chairman & CEO and served as Vice President of Product Marketing and Product Management at VERITAS Software, which was acquired by Symantec. He also co-founded Epinions.com, worked as a consultant at McKinsey & Company, and was an analyst with CS First Boston. Mike holds a B.A. from the University of Arizona and an M.B.A. from Harvard Business School, where he graduated as a Baker Scholar. Peter Thiel is a technology entrepreneur and investor.He first gained attention for innovations in banking and startup finance. Today he is known as the mentor of the PayPal mafia of entrepreneurs, as well as for his warnings of a coming technology deficit with severe economic consequences. He works to accelerate innovation to prevent such a crisis by identifying and funding promising technology ideas and by guiding successful companies to scale and dominate their industries. In 1998,Thiel made e-commerce easier, faster, and more secure by co-founding and leading PayPal, which now has more than 128 million active financial accounts. In 2002, he sold PayPal to eBay and founded a global macro fund, Clarium.In 2004, he co-founded Palantir Technologies, which offers platforms for finance companies and intelligence, defense, and law enforcement communities to integrate, visualize, and analyze the world’s information. In the same year, he made the first outside investment in Facebook, a social networking hub that now has more than a billion million active members. He serves on its board. Building on his personal success as a venture capital investor, Thiel co-founded and manages Founders Fund, a leading Silicon Valley venture capital fund that has pioneered new methods of venture financing that benefit founders. Through Founders Fund, as well as through his private investing, he has helped the next generation of tech companies, such as SpaceX, LinkedIn, Yelp, RoboteX, and Spotify. And in 2012 he co-founded Mithril Capital Management, an international technology investment fund.Thiel established and funds the Thiel Foundation, which promotes freedom in all its forms. He sponsors the Committee to Protect Journalists, The Seasteading Institute, and the Human Rights Foundation. He funds the artificial intelligence research of theMachine Intelligence Research Institute. He also aids work against violence through theOslo Freedom Forum and through the research of philosopher René Girard, which is extended and promulgated by Imitatio. He also promotes better health by funding the longevity research of Dr. Cynthia Kenyon and the SENS Research Foundation.Thiel created the 20 Under 20 Thiel Fellowship, which nurtures the tech visionaries of tomorrow. And he formed Breakout Labs to help independent scientists, engineers, and inventors advance their most radical ideas. Thiel earned a B.A. in philosophy from Stanford University and a J.D. from Stanford Law School, where he occasionally teaches on globalization and technology and serves on the board of overseers of the Hoover Institution. His articles have appeared in Policy Review and the Wall Street Journal. He co-produced the film Thank You for Smoking, was rated a master by the United States Chess Federation, and received the Innovation Award from the Economist in 2010. He lives in San Francisco.